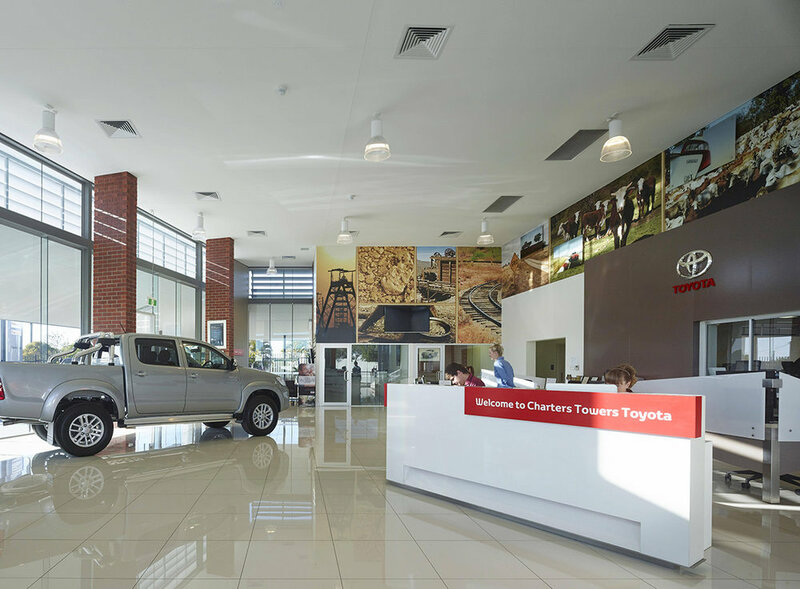 The Charters Towers Toyota dealership is located in the historic mining town of Charters Towers, 130km inland from Townsville in Queensland. 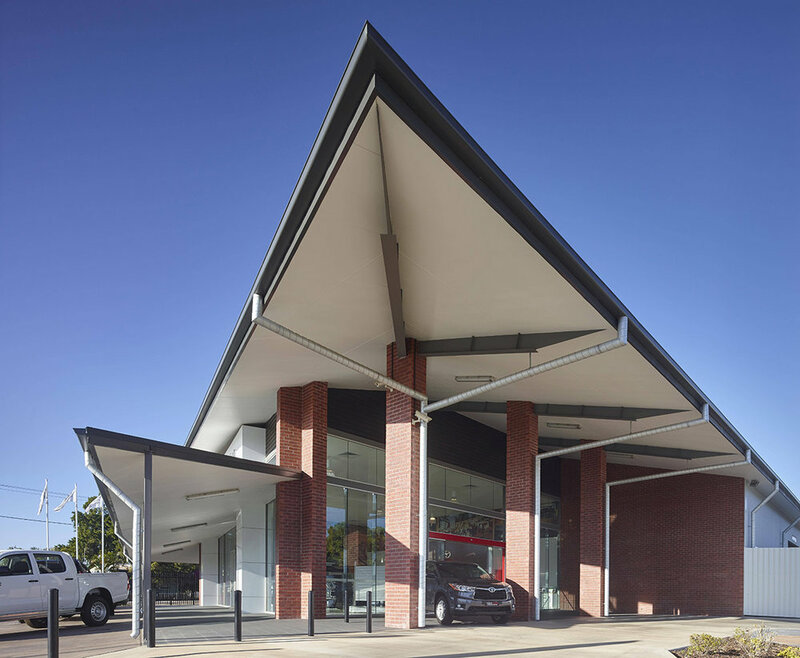 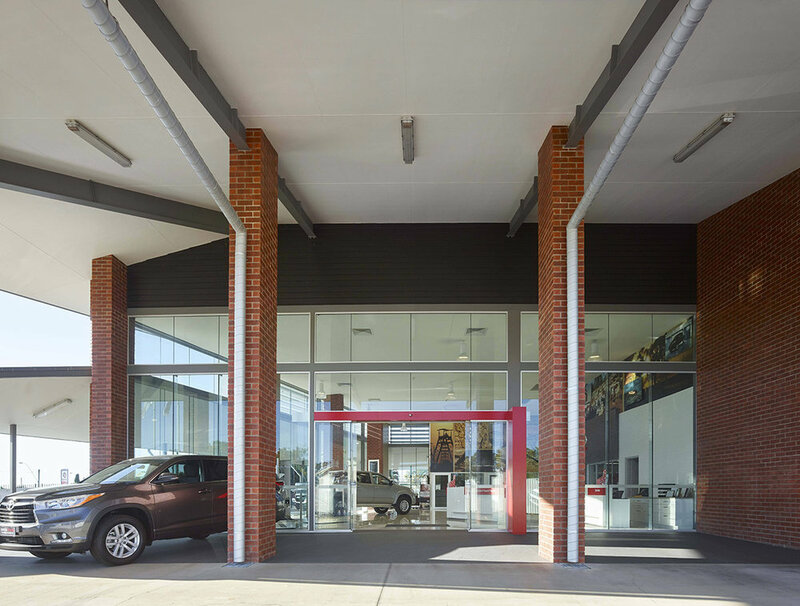 Inspired by the heritage of the area, the Charters Towers Toyota showroom references the distinctive forms and materials of the industrial and mining structures, which dominate the town’s urban character. 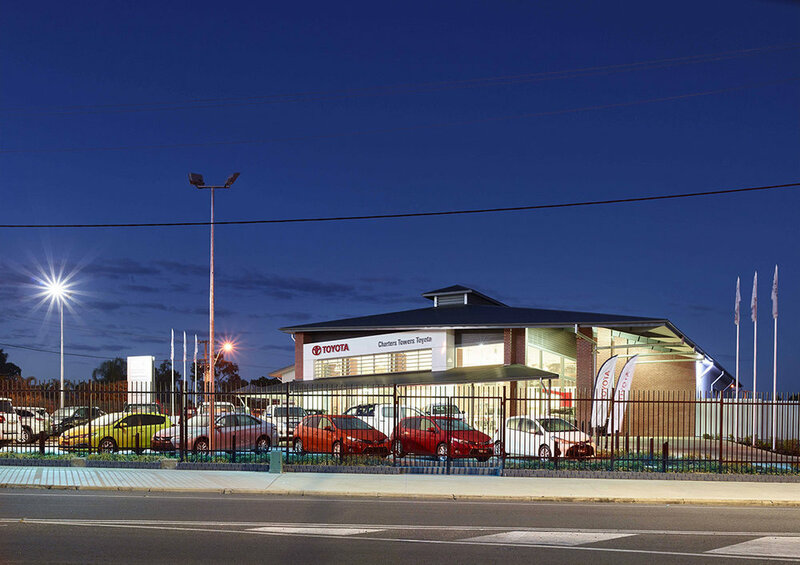 Situated on a busy intersection the modern site plan takes advantage of the dealership’s dual frontage to maximise street presence, and is designed to accommodate the multi-franchise nature of the dealership, providing access from both streets. 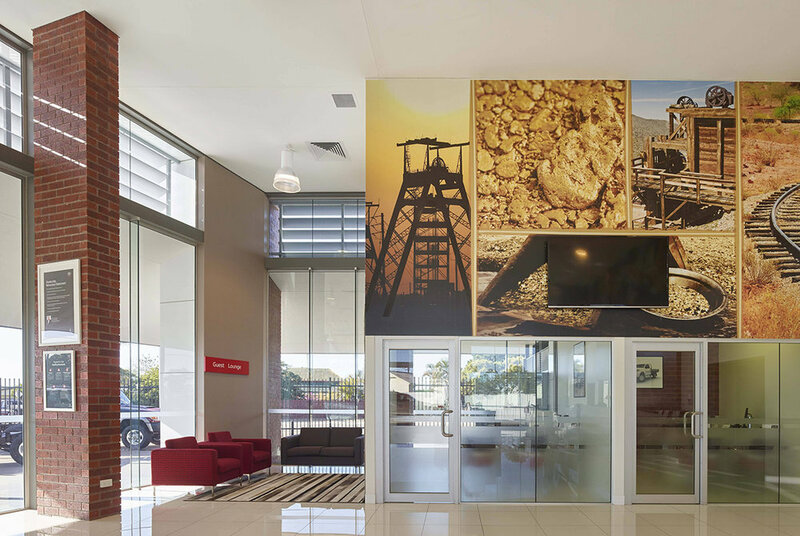 This flexible layout ensures the building can easily be modified to suit future needs as the company continues to grow. 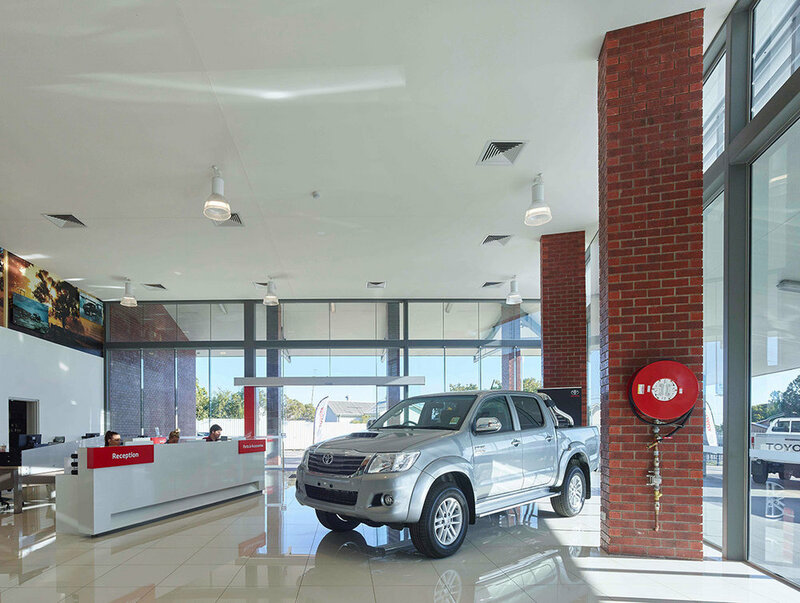 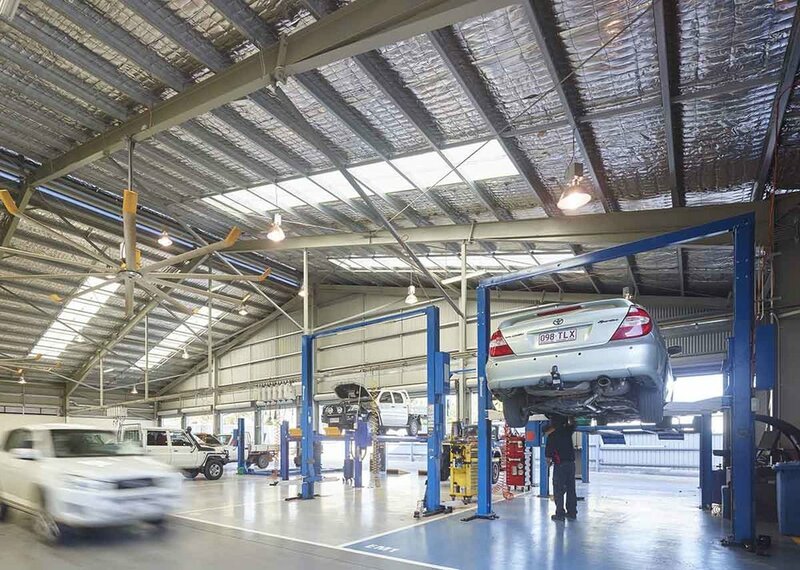 The dealership also houses a large 20 bay service centre with express bays in a drive through layout that utilises natural sunlight and a ridge ventilation system to improve the energy efficiency and sustainability of the building.